After the Natolin visit to the Bruges campus back in the cold January days, Natolin now had the pleasure to receive 40 Bruges students for the weekend. It was an amazing weekend where students had the opportunity to connect with each other and get to know the Natolin campus. Upon arrival on Friday night, the weekend kicked off with a bonfire night to welcome the Bruges guests. Nothing better to create a friendly and spontaneous atmosphere than a hot fire with drinks and snacks! Saturday was full of activities. The morning started with an entertaining crash course on Natolin and a fabulous choir performance in cooperation with several students from Bruges. The introduction of the "Promotion Song" was followed by the "Ode to Joy", which could of course not be forgotten. The Student Fair further gave students from both campuses the opportunity to get in touch with each other through different interests and societies. Afterwards, the students together planted the Manuel Marin Promotion tree, represented by one student from each campus to underscore the importance of inter-campus relations. The tree planting was guided by Ben Ray, a passionate poet from the Natolin campus. 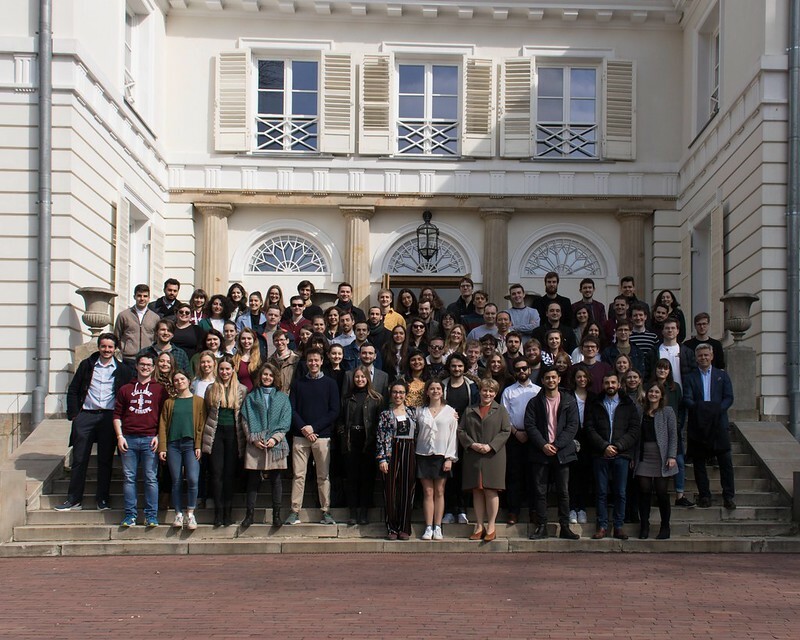 The students were invited to the Natolin Palace by the Vice-Rector, where the students could enjoy the place and the nice spring weather over some coffee and tea. In the afternoon the students continued their program in the Natolin neighbourhood where the inter-campus football game took place. The two student teams proved to be of high quality and were supported by a big group of enthusiastic supporters. The final score was 14-3 for the Natolin campus which means that both campuses had their win this year. Congratulations to both teams! In the evening, all students could enjoy a Polish dinner at the canteen with – of course – pierogi. The night ended at the Bloody Marin bar with an inter-campus party themed "Make Europe Great Again". Regardless the daylight saving time on Sunday morning, many students joined for a traditional Italian brunch near campus. The weekend was concluded with a guided visit to the city center of Warsaw. It has been a fabulous and interesting weekend for all students, supported by Polish spring weather and many happy faces. Not only a good break from thesis writing and deadlines but also a great way of bonding between campuses! It again proves that although there might be two campuses, there is only one College. United under Marin!